Star Wars Jedi: Fallen Order will make an appearance at Star Wars Celebration Chicago on April 13. 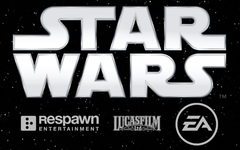 The story for the game, which is being developed by Respawn Entertainment and will be published by Electronic Arts, is based on a Padawan who manages to escape the infamous Order 66. The title is expected to be released in fall this year. It seems lucky Star Wars fans will soon be able to enjoy a first look at Respawn’s entry into the beloved franchise. The EA subsidiary has been busy with Star Wars Jedi: Fallen Order for some time now: Work on a new Star Wars game was announced in 2016, and it was finally given its current name at E3 2018. Now those in attendance at the Star Wars Celebration event in Chicago on April 13 will be able to see what Respawn has come up with. A panel at Star Wars Celebration Chicago will discuss Star Wars Jedi: Fallen Order and offer up plenty of tasty details about the game, which really needs to be quite impressive considering the mixed response that greeted EA’s Star Wars Battlefront II and its ensuing loot box controversy. Fortunately, Respawn has shown its capabilities by delighting gamers around the world with Apex Legends lately, and hopefully the latest major Star Wars title will enjoy a similar reception.